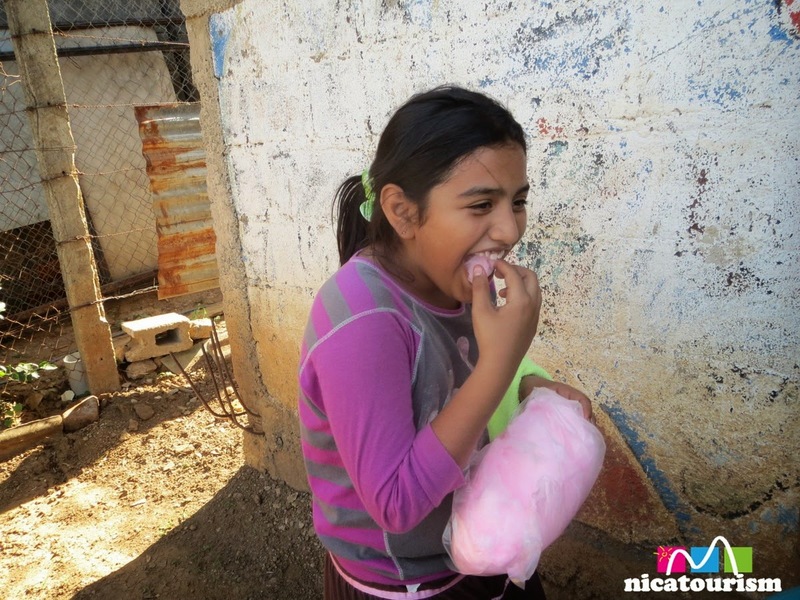 Nicaragua has a great quantity of street sellers - people who make a living selling a great variety of items from door to door. It's also common that each on of them has a distinct sound, so to speak, as they call out their products. Kind of an audio trademark that he (or she) himself (or herself) has invented. Remember the girl who sells donuts? 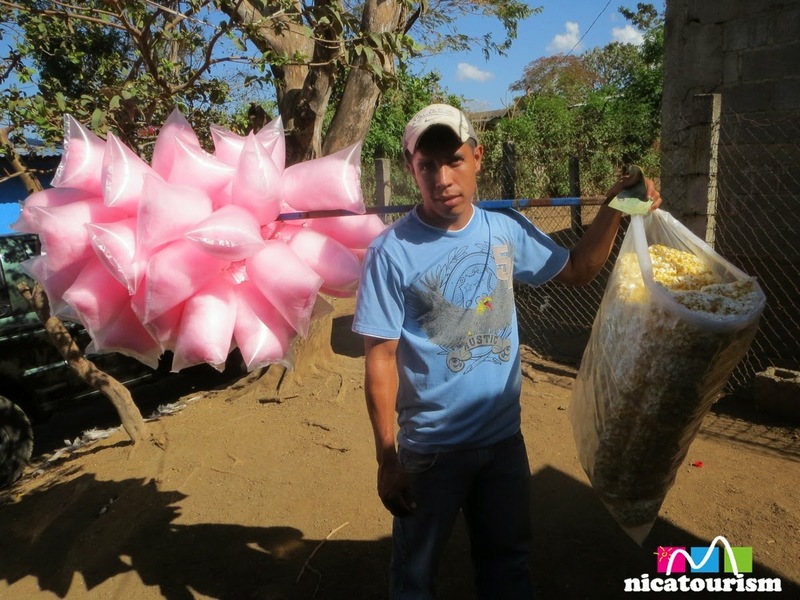 [click here] Well this guy sells popcorn (C$5 a bag) and cotton candy (C$7 a bag).